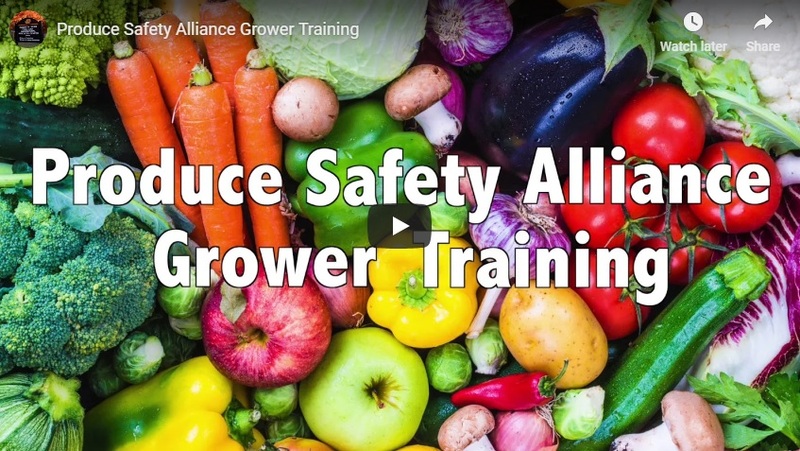 Fruit and vegetable growers and others interested in learning about produce safety and regulations are invited to attend a Produce Safety Alliance Grower Training Course from 8:30 a.m. to 5 p.m. Jan. 29 at the Woodward County Extension Office. The Oklahoma Department of Agriculture, Food and Forestry (ODAFF) is partnering with the Robert M. Kerr Food & Agricultural Products Center to offer a class that satisfies the produce farm supervisor’s training requirement of the Food Safety Modernization Act (FSMA) Produce Safety Rule. This class is recommended for every produce farmer whether they are exempt from the rule or not. All produce farmers are affected by the new FSMA rule. Even if you are exempt by having sales less than $25,000, you will need records to show you are exempt. There are several other exemptions, explained in the link below. The information provided in this class will help all produce farmers identify ways to prevent produce contamination on the farm. The content covered includes: worker health, hygiene and training, soil amendments, wildlife and domesticated animals, agricultural water, postharvest handling and sanitation. Individuals who participate in this course are expected to gain a basic understanding of microbial risks, where they may be found on the farm, and practices to limit these risks. Participants will learn how to develop a farm food safety plan and how to meet and understand the requirements in the FSMA Produce Safety Rule. The event will also provide a foundation of Good Agricultural Practices (GAPs) for producers. Additionally, farmers who request On-Farm Food Safety Reviews can receive them for free upon attending a Produce Safety Alliance Grower Training Course. Experts from ODAFF and Oklahoma State University will schedule a time to visit the farm and provide feedback to improve food safety practices. Participants who are present for the entire training and submit the appropriate paperwork at the end of the course will be eligible to receive a certificate from the Association of Food and Drug Officials (AFDO) that verifies they have completed the training course. Future courses are scheduled for Feb. 7 in Sulphur, Okla., Feb. 21 in Lawton, Okla., and Feb. 27 in Edmond, Okla. In case of inclement weather, the Sulphur and Lawton courses will be rescheduled. Cost to attend is $15 and includes lunch, snacks and materials needed. For more information and to register, visit www.fapc.biz/workshops/produce-safety-alliance-grower-training-course. Questions can be directed to Justin McConaghy, ODAFF Produce Safety Program coordinator, at 405-215-7397 or Justin.McConaghy@ag.ok.gov. For more information on FMSA Produce Safety Rule exemptions, visit www.fda.gov/downloads/Food/GuidanceRegulation/FSMA/UCM472499.pdf or contact McConaghy. Funding for this course was made possible, in part, by the Food and Drug Administration through grant PAR-16-137. The views expressed in written materials or publications and by speakers and moderators do not necessarily reflect the official policies of the Department of Health and Human Services; nor does any mention of trade names, commercial practices, or organization imply endorsement by the United States Government.